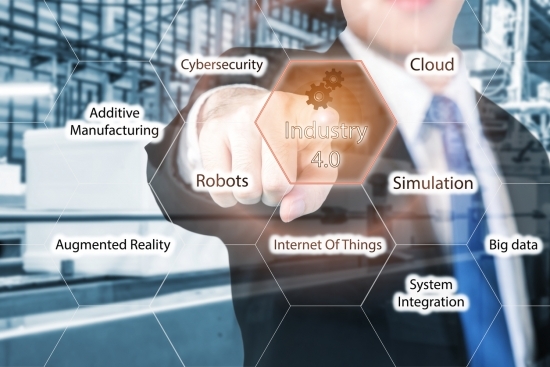 With many tips and suggestions highlighted for manufacturers on how they can embrace IIoT and Industry 4.0 within their factories, it must be remembered that this shift toward increased use of technology can also apply outside of the plant floor. 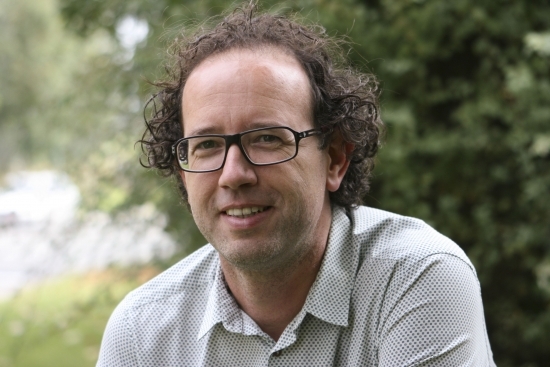 We speak to Lieven Bertier, head of product management at Barco and discuss what collaboration technology offers. Barco design and manufacturer displays, projectors, workstations and other visualisation products and here we look at how manufacturers can increase productivity and collaboration within their business using smart technology. Due to its fast-paced and ever-evolving nature, the manufacturing space can be hard to keep up to speed with. We’re currently experiencing a sea change in the industry, where there is a strong and sustained drive to adopt smarter technologies and more efficient ways of working across all aspects of the industry — a movement that’s widely referred to as Industry 4.0, or the ‘Fourth Industrial Revolution’. The benefits that manufacturers could enjoy by embracing Industry 4.0 are significant and wide-ranging. Firstly, there’s the advantage of being able to dramatically increase the rate of production across the usual timeframes, and then there’s the significant long-term cost-saving implications that give businesses the freedom to invest in other required areas. However, as with any kind of industrial revolution, the transition can be rough to say the least. The last thing that any manufacturing business should be doing is jumping right in and simply hoping for the best; a smooth transition requires patience, transparency and clear communication across the entire business. A large part of this communication takes place in the meeting room through discussions with colleagues and clients, and so it makes sense that this would be the first area of attention when it comes to improving overall collaboration. By focusing on getting things right in this small area to begin with before expanding outwards to the rest of the business, the transition can progress with minimal disruption or business impact. While this might sound straightforward enough, it’s much more difficult to actually put into practice. However, by implementing the right meeting room technology into the workplace, businesses — particularly those within the manufacturing space — can encourage natural and effective collaboration. Traditionally, meeting room technology, such as video conferencing software and screen-sharing devices, had been reserved strictly for more formal business environments, or for companies who relied upon regular communication with colleagues based outside of the office or abroad. But as the technology becomes more advanced and wider industries start to acknowledge the importance of more regular communication across teams and departments, we’re seeing a much wider uptake of these devices and gadgets from businesses across all kinds of sectors. Of course, there are many tangible benefits that manufacturing companies can gain from the implementation of this technology, the most important of those being that it allows collaboration to occur more organically and efficiently. For example, instead of an employee sending an email to someone who might be based on the other side of the country, he can simply jump into a meeting room and talk to them in real-time via video conferencing software, which allows for instantaneous feedback and a much more natural discussion. It also gives colleagues the freedom to bounce ideas off of each other, which often results in their best and most creative ideas. Then there’s the cost-saving implications that come with meeting room technology. Just like that businesses no longer need to fork out on booking flights and accommodation every time an overseas meeting is required — nine times out of ten, the goals and aims of these meetings can be achieved through a simple video conferencing call. Even if the meeting consists of lots of people, colleagues can talk freely and openly amongst each other as if they were all really in the same room together. But there are also plenty of other benefits; ones that aren’t as tangible as the above, but still hugely important in the running of a successful manufacturing business. By encouraging employees to feel free to communicate and collaborate with others on projects they’re working on issues they’re faced with, businesses can almost always expect to see an increase in engagement and a considerable rise in overall staff motivation. This, in turn, results in better staff morale across the office and a higher quality of work — staff are getting on with things because they genuinely want to, not because they feel as though they have to. Another added benefit is an increase in productivity. We can all recall a situation where we’ve watched a colleague hopelessly battle with a dodgy display or a faulty cable in order to try and share content with the other attendees in a meeting, only to give up after 10 minutes or so. These instances all add up and result in hundreds or even thousands of wasted work hours. In fact, recent research by Barco found that each employee wastes an average of 19 hours every year because of outdated technology. However, with the right choice of meeting room technology, this problem becomes a thing of the past. Suddenly, sharing content becomes an intuitive and even enjoyable user experience that’s as easy as pressing a button or opening a smartphone application. For manufacturers who are constantly juggling board meetings, sales meetings, design workshops, brainstorm sessions and more, the advantages of encouraging collaboration and embracing meeting room technology are clear as day. Not only can it lead to a far smoother transition towards Industry 4.0, but it allows creative ideas — the ideas that ultimately turn into money-making products — to thrive and flourish.